Citizen Scientists Collect 16,000 Ticks For Research : Shots - Health News Researchers invited the public to help them study the geographic spread of ticks that carry pathogens that can sicken humans. People were eager to oblige by sending in the pesky bugs that bit them. Time outdoors leaves you vulnerable to tick bites and the diseases they can transmit. New research seeks to a better picture of the geographic spread of ticks that carry dangerous pathogens. Could the tick that just bit you carry a pathogen that causes Lyme disease or another ailment? If you're worried, you could ship the offending bug to a private testing service to find out. But between August 2016 and January 2017, you could have gotten a free analysis by sending it to Nathan Nieto's lab at Northern Arizona University. You'd get back info on the critter that bit you and, if applicable, a pathology report. Nieto's project wasn't just a goodwill gesture: It was an unprecedented attempt to include the public in tick research. 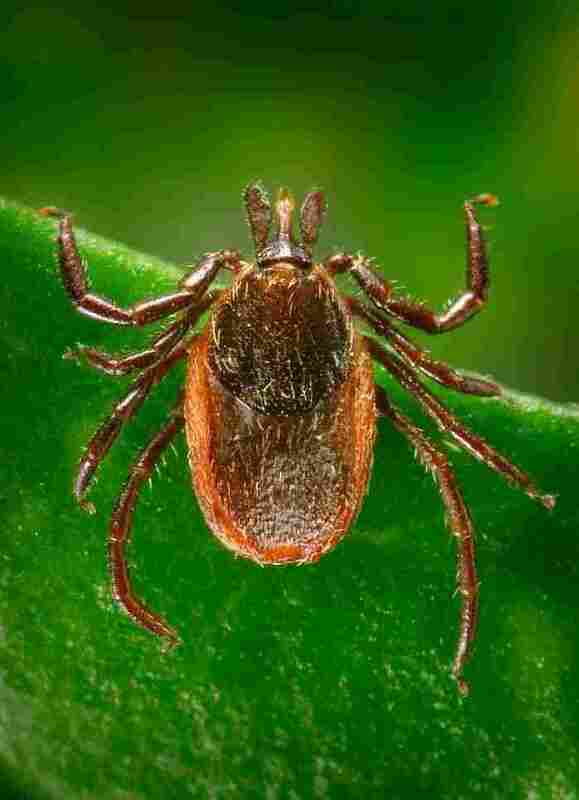 Nieto, a microbiologist at Northern Arizona University, and his team published the results of their brief tick-collecting experiment Thursday in PLOS One. They say it shows the potential of citizen science to fill in gaps in research—and that data gathered this way could ultimately help form a more proactive public health response when it comes to identifying and preventing tick-borne disease. Public health officials track the number of reported cases of tick-borne diseases, and researchers can study ticks in their local habitats. But when it comes to assessing the risk of potential infection from tick-born pathogens, figuring out which ticks commonly bite humans, what pathogens they carry, and how many people actually get sick from bites, the picture's always been blurry. Until now. Usually, Nieto says, scientists collect around 100 ticks at a time for local research using surprisingly low-tech methods (such as dragging a long swath of fabric behind a truck, then counting the number of ticks it catches). In this case, researchers received thousands of ticks. Most had been removed from humans or dogs—and there were many more than they originally planned for. "We budgeted for 2,400," says Nieto. "Then all of a sudden it was over 16,000." The massive response shows how hungry the public is for information on the ticks that bite them, he says. In the meantime, it fed scientists an unexpectedly large dataset, and information on ticks from 49 states and Puerto Rico. Once ticks made their way into the lab, the team identified them and tested them for four tick-born pathogens, including Borrelia burgdorferi, the bacterium that causes Lyme disease. They sent information on the pathogen back to the people who submitted ticks and mapped their geographic distribution. Though researchers weren't on the hunt for new tick-borne pathogens, they did uncover some surprises. Unexpected ticks turned up in unexpected locations, like Lone Star ticks you'd expect to find in the Southeast as far north as Maine and as far west as California. And ticks capable of carrying Lyme disease were reported in 83 counties where they hadn't been recorded before. A few rare ticks turned up, too, though none of them carried pathogens. For Nieto, the real point was to show how citizens might help fill in a gray area between incidence and risk, documenting human and animal exposure to ticks. "We can use this data to show when risk is actually happening in the system," says Nieto. "It ends up being predictive." The data could be lined up to reports of tick-borne disease in a certain geographic area, for example, to show how long it takes for people to report illness or to help public health officials brace for next year's tick season. The researchers note that gathering data at this scale wouldn't be possible without citizen scientists — and future studies of this type could help improve understanding of tick-borne disease. "It's a great example of using citizen science to ask questions about the ecology of infectious disease," says Katharine Walter, an epidemiologist at Stanford University who has studied the prevalence and spread of tick-borne diseases. Walter, who did not participate in the research, says that a longer-term project could yield real insights not just into disease, but climate change and human impacts on their environment. "That's the power of science," says Walter. "I really believe that scientific research shouldn't be just for scientists." The study's authors admit there are some real limitations to their work. 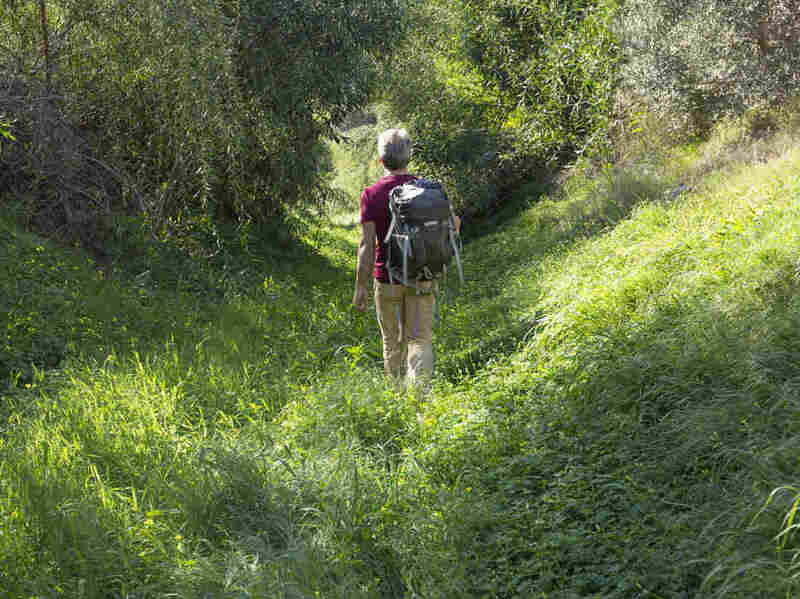 They didn't find out if and where people had traveled before they found the ticks. Since ticks can hang out on the body for days, they could have traveled along with people or animals on the move and resulted in misreporting. Nieto says his team didn't ask for the data out of privacy concerns and a desire to encourage participation. Another limitation is that people who never hear about a citizen science initiative can't participate, and the study wasn't advertised beyond an initial PR campaign conducted by the Bay Area Lyme Foundation, which funded the project. Socioeconomic barriers to the internet may also have limited participants, and there's no way to verify how many participants misreported information about the ticks that bit them. What's next for the tick collectors? First, says Nieto, they'll dig deeper into the ticks' DNA, and hopefully open up another wave of free tick analysis in an attempt to broaden the data even more. From there, says Nieto, it's up to others to use the dataset for good. "We have this information," he says. "Now we need some technology or changes in behavior that are going to help us actually prevent infection."